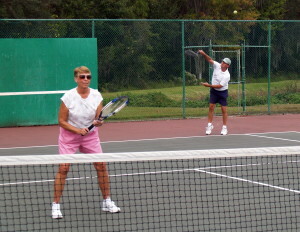 Central Florida is home to many different active adult communities, but Cypress Lakes is simply a cut above the rest. With 1,000 acres of beautiful, idyllic surroundings, and a whole host of resort-style amenities, it’s not surprising so many adults 55 and over choose Cypress Lakes for their retirement community. However, when you factor in that we are situated in one of the most advantageous locations in the Sunshine State, it’s amazing we have any homes available at all. While other active adult communities may say they have “easy access” to nearby golf courses, at Cypress Lakes, we mean it. This really is a Florida golfer’s paradise! We have two professionally designed 18-hole courses right on site, complete with a fully stocked pro shop. There’s even a PGA pro who offers tips and lessons. While the courses at Cypress Lakes are available for public play, our resident-members receive preferential access for tee times, as well as other benefits. But that’s just the beginning, because once they venture out into the surrounding region, our residents have year-round access to everything Central Florida has to offer. Cypress Lakes is conveniently located between Tampa and Orlando, just a short drive from world-class theme parks, white-sand beaches, award-winning restaurants, and entertainment venues that routinely draw top-name musicians, comedians, and others. Contact one of our friendly Lifestyle Consultants today to learn more about Cypress Lakes. Discover for yourself why we are one of the most desirable active adult communities in Florida by scheduling your visit today.